Product design specification (PDS) is a key step regarding the whole total design process. It is crucial for people who are involved in the product design process to efficiently share and reuse the PDS and related information. With the support of state-of-the-art technologies, in particular, Web Services and Enterprise JavaBeans (EJB), a distributed environment has been established which made future engagements in information utilizing for PDS simpler, faster and more efficient. 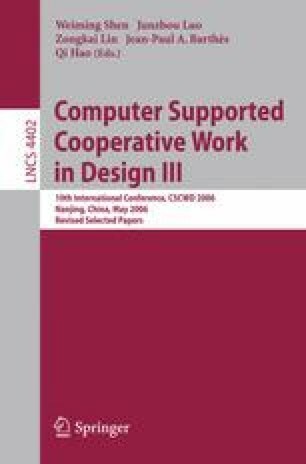 In this paper, a brief review of the importance of PDS in the entire total design process is given first, followed by the presentation of the technologies involved in this PDS environment. This distributed environment will help manufacturers accelerate product to market and minimize potential design errors in the early product stage.